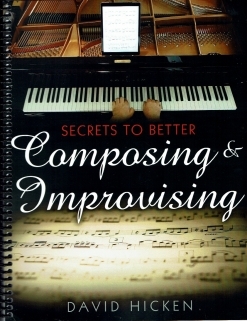 Secrets to Better Piano Playing is the first book by pianist/composer/piano teacher David Hicken. One of the best pianists I know, Hicken was born and raised in England and started piano lessons with his mother at the tender age of three. He worked through examinations for the Royal Schools of Music in Piano, Clarinet, Organ and Music Theory and achieved the highest levels when he was twelve. He worked on his Licentiate of the Royal Academy of Music and Associate of the Royal College of Organists diplomas when he was sixteen. He went on to study at the Royal College of Music in England and The Peabody Conservatory of Music in the US. To date, he has released five solo piano recordings, several organ recordings of classical music, and a couple of electronica albums. He started teaching piano lessons at nineteen and continues to teach today. 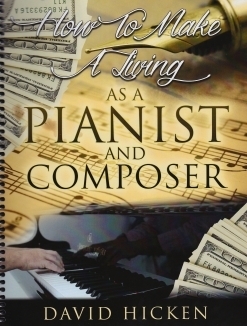 Available only as a download, Secrets to Better Piano Playing covers a very broad range of topics including choosing a great teacher, which kind of piano to buy, how to get the most out of your practice time, what to practice, how to approach new music, technique, tips for parents, and performance advice. That is a lot of territory to cover in 110 pages (fewer, actually, since there are several pages of indexes). Hicken’s writing style is clear and engaging, making the book very readable and enjoyable. 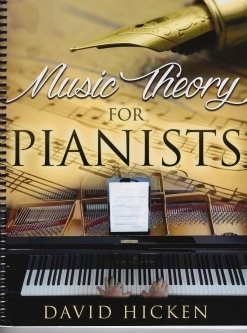 He expresses his opinions about the value of teaching methods, the use of scales and exercises, and approaches to learning the piano, among other topics. I’ve been teaching piano for 34 years - a bit longer than Hicken - and there are a number of points that I disagree with, but I feel there are many different ways to achieve the same goals and results. Hicken gives many great pointers and there is a lot of very useful information in the book, so if you are looking for some advice about how to improve your playing - or where to start - take a look! 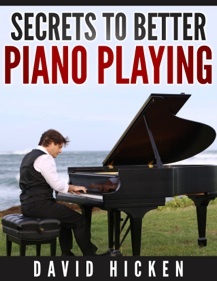 Secrets to Better Piano Playing is available from davidhicken.com.